From the Customized Member Interface section of the General Settings page, you may edit certain items to change the appearance of your member links. To adjust these settings, click the Edit button in the upper right corner of the page. 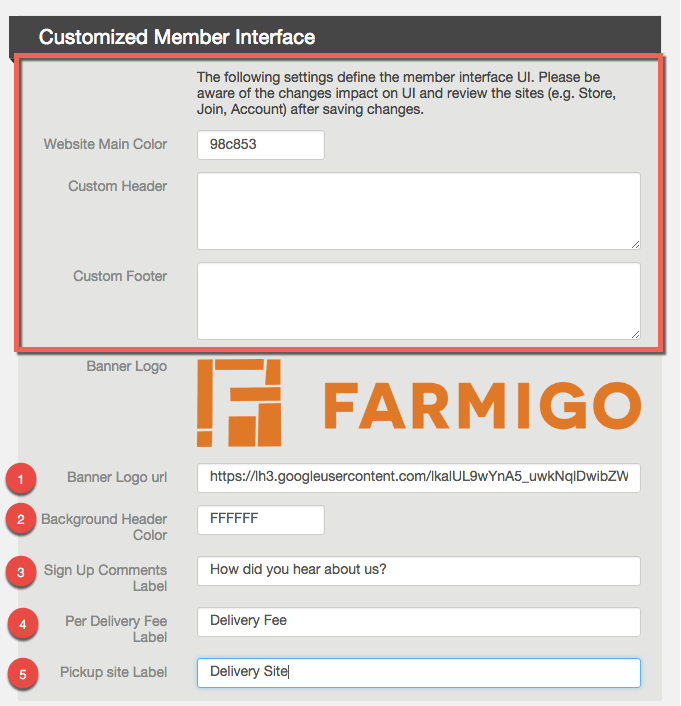 The first section of Customized Member Interface section will allow you to use html to customize your Farmigo member interfaces. This is an optional advanced step, to learn more click here. This image will appear at the top of each of your member links. 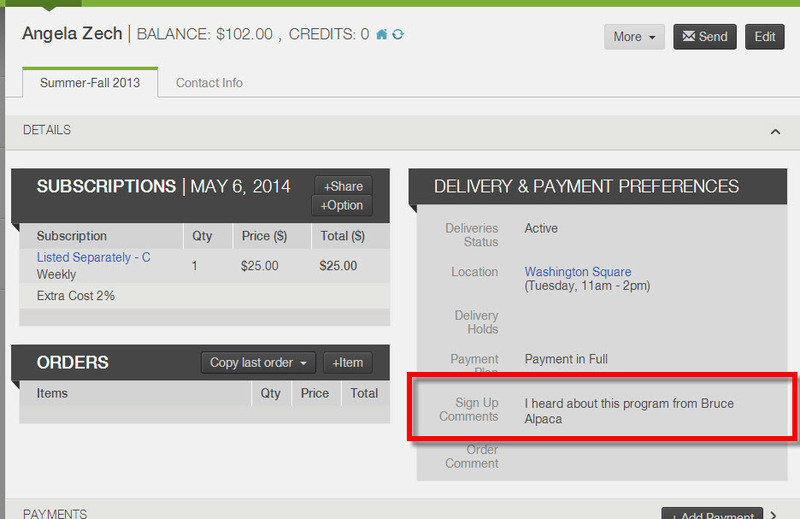 ﻿When you enter something in this field, an open comment field will appear at the end of the signup process (join link). Members may enter a note before completing the signup process. You may use this field to ask your members specific questions. 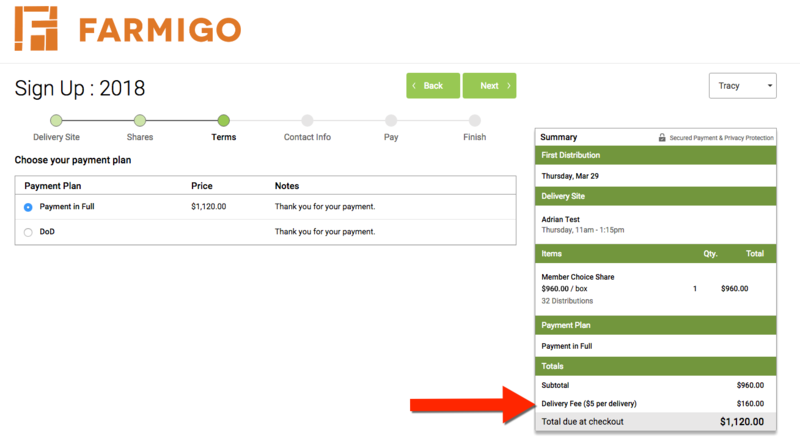 If you charge a per delivery fee for a location, this is listed in the signup process by default as an "Extra Fuel Charge". To change the label for this fee, enter alternative text in this field and save changes. 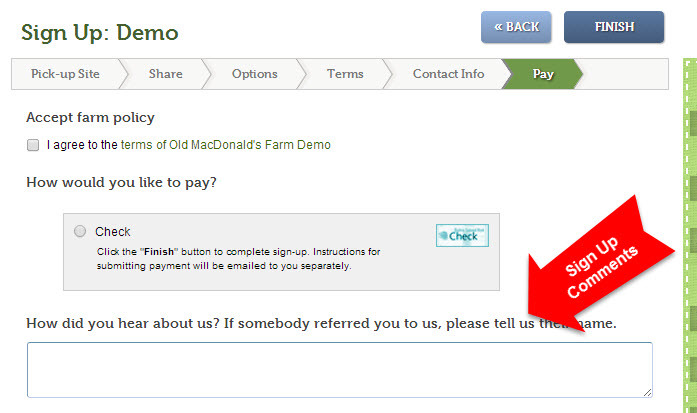 Enter text here to change the name of the first step of the sign-up process. The default text is "Pick-Up Site"